If you want to increase your children’s happiness and optimism, you must teach them to exterminate the ANTs—or Automatic Negative Thoughts. Those ANTs scamper around our children’s thoughts and threaten their happiness and success. ANTs come in many varieties. Let me describe four. Absolute, Permanent ANTs (the AP-ANTs). When stressful events or bad things happen, AP-ANTs shout things like “This always happens to me,” “It will never get better,” and “No one likes me.” Words like “always,” “never,” and “nothing” reveal the AP-ANTs and crush our children’s joy. Critical ANTs (C-ANTs) throw words like “should” and “must” around in your children’s brains. They induce guilt by “shoulding” on them (as Albert Ellis would say). C-ANTs constantly point out flaws, limitations, and mistakes. They throw labels like “stupid,” “loser,” and “failure.” The C-ANTs make our children feel like they CAN’T do anything right. 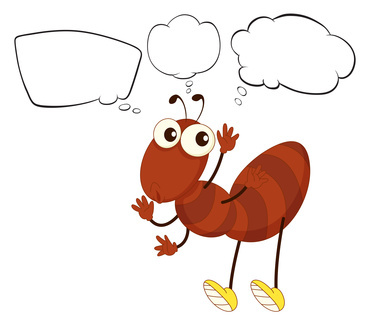 Worry ANTs (W-ANTs) constantly ask “what if…” while anticipating the worst. They create tunnel vision for the negative possibilities and, in so doing, create extreme images of failure and catastrophe. Every mole hill becomes an overwhelming mountain that no one can climb. They bring to mind everything you don’t WANT to think about. Pushover ANTs (P-ANTs) make us feel like victims. They use phrases like “I can’t” or “Nothing will ever change” or “I’ll never be able to….” These phrases make our children feel helpless and hopeless. They encourage our children to feel unworthy and inadequate. You can imagine how these ANTs (Automatic Negative Thoughts) eat away at your children’s happiness and success. So, how can you help exterminate the ANTs in your children’s brains? Become aware of the ANTs as they arise. Recognize the ANTs for what they are—pests that need exterminated. Listen for the ANTs in your own speech and the speech of your children. It’s hard to hear your children think; so it may be hard to hear the ANTs. But, you can discover the ANTs by probing a bit. Ask your children questions about what is going through their mind, what specifically is upsetting them about the situation, or what are they afraid of. Their answers to these questions may bring the ANTs out of hiding and to the surface where you can exterminate them. Challenge the ANTs. Don’t accept what the ANTs say at face value. Challenge them. Ask questions to clarify the truth. Ask the AP-ANTs, “Always? Really? What about the time…?” Confront the C-ANTs by asking for the reason you “should” and changing the “should” into an “I’d like.” Make the W-ANTs consider the most positive outcome possible to the “what if…” question. Make it too good to be true, even unbelievable. Remind the P-Ants that you do your best. Success is about effort, not the end result. In fact, we sometimes learn the best lessons from mistakes. So, enjoy the mistakes and keep moving forward (See how Louis Learned this from disaster in this video). Every time an ANT rears its ugly head and shouts its toxic message, repeat steps #2 and #3. Exterminate the ANT and replace it with a healthier, wiser, and more accurate thought. As you teach your children to exterminate the ANTs in their life, you will see their happiness blossom, their efforts bloom, and their success take root. So start exterminating those ANTs today!